1) Place a shelf at the top of the lower third of the oven and preheat to 350 F.
2) Stir the eggs, yolks, 3/4 cup mild and extracts together in a medium bowl. 4) Add the butter and oil and the remaining milk. 5) Mix on low speed to moisten the dry ingredients. 6) Increase to medium speed and beat for 1 ½ minutes. 7) Scrape down at the sides. 8) Add a third of the egg mixture and beat for 20 seconds. 9) Repeat until all of the mixture is incorporated. 10) Scrape down the sides with each addition. (usually about 2 to 3 scoops or ¾ cups full. of the cup cake comes out clean. 14) Transfer the pans to a wire rack to cool completely. 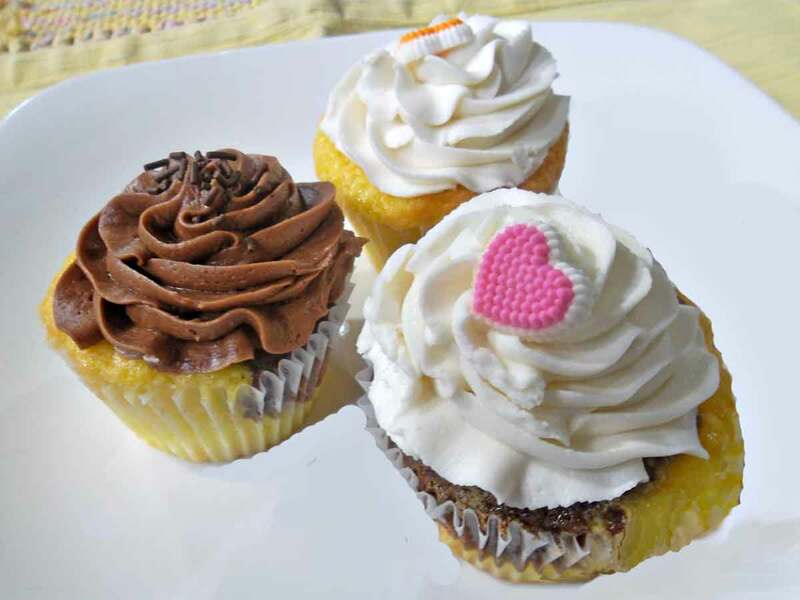 15) For the Icing, you may use can icing or any Buttercream recipe that you have. 1) In large bowl, cream shortening and butter with electric mixer. 3) Gradually add sugar, one cup at a time, beating well on medium speed. 4) Scrape sides and bottom of bowl often. 5) When all sugar has been mixed in, icing will appear dry. 6) Add milk and beat at medium speed until light and fluffy. 7) Keep bowl covered with a damp cloth until ready to use. 8) For best results, keep icing bowl in refrigerator when not in use. 9) Refrigerate in an airtight container, this icing can be stored 2 weeks. 1/2 cup shortening for butter and add 1/2 teaspoon No-Color Butter Flavor. 12) Add up to 4 tablespoons light corn syrup, water or milk to thin for icing cakes. 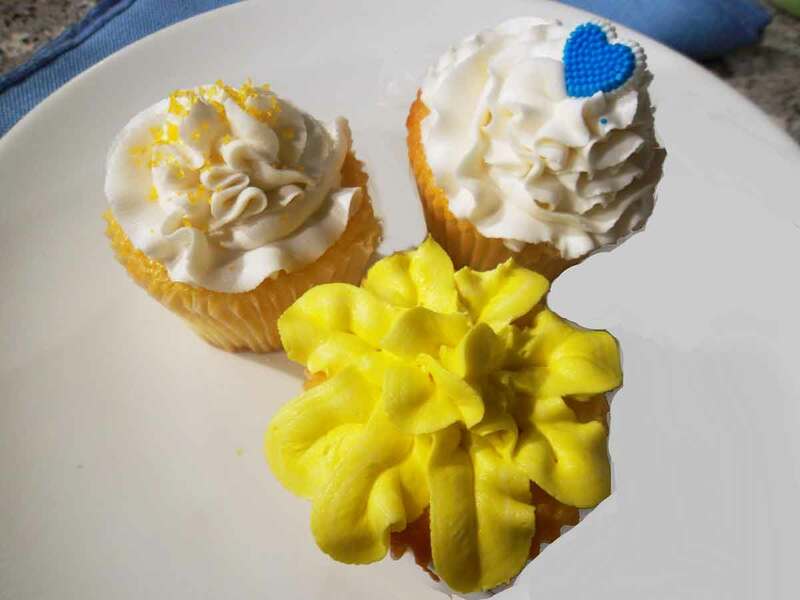 13) Frost each cup cake with any swirl design of choice or any design you have in mind.